Welcome to Margo Stanley Real Estate! 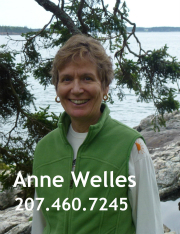 We appreciate your interest in real estate in our corner of the world, and hope that we may be of assistance to you! 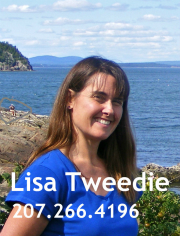 We are located in small town -- Southwest Harbor, Maine -- on the rocky shores of Mount Desert Island, home of Acadia National Park. The scenery is varied and breathtaking, with granite cliffs rising from the sea above picturesque fishing villages, mountain and ocean views, pastoral mid-Island fields and farms, lovely and affordable condos, and much more. We also offer an extensive list of vacation rental cottages and homes, on the shore, or with views, or convenient to town. These vacation rentals can be large or small, or classic cottages and cozy lakefront camps. We know that buying or selling real estate can be a pretty stressful job for you. There are multiple phases of a successful real estate transaction, with a large and disparate group of various people involved -- bankers, lawyers, home inspectors, appraisers, and so forth -- so it's incredibly important that you can count on experienced professionals to make the whole process go as smoothly as possible for you and yours. 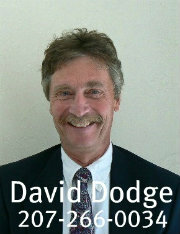 Please feel free to call upon us to assist you in your real estate matters! We've designed this website to provide you with a large number of real estate resources and with lots of useful information you can use to help you in your endeavors. There are links to buyer and seller resources, to banks, to community services, to relocation information and much more. Please make sure you add this website to your favorites menu or bookmark us. You'll find this site to be a nice centralized compendium of valuable resources you can return to over and over again, whether you're looking for local school ratings, or for the phone number for the town office, or some interesting real estate reading material, your journey can begin right here! If you're just beginning your education about real estate values and opportunities in our service area, you'll be happy to know that you can set up daily alerts -- as many as you'd like -- for all the specific types of properties you may be considering. Every time a new offering hits the market, you'll get an email with some of the details. Let us know, and we can get even more information for you! So, whether you're selling some real estate, or thinking of buying a fine new home or parcel of land to build that fine new home upon, if you're seeking some genuinely pleasant and professional real estate representation, please think about giving one of us a call. We invite you ton contact us to introduce yourself. You can explain your general -- and specific -- individual real estate needs and desires. We will listen as you tell us how we can best assist you in your quest! We welcome your interest in our area, and would love to help you with a satisfactory and successful real estate transaction! 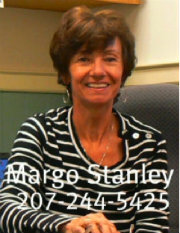 Margo H. Stanley Real Estate, Southwest Harbor, Maine USA!